Pennsylvania’s current race for Republican incumbent Pat Toomey’s U.S. Senate seat could be the deciding factor in which party controls the Senate. “It is inconceivable to think Democrats could win control of Senate without winning this seat,” G. Terry Madonna, a professor and director of the Center for Politics and Public Affairs at Franklin & Marshall College, told City Paper in January. 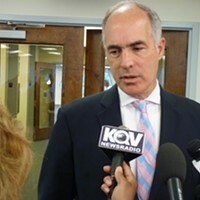 And Pa.’s other Senator, Democrat Bob Casey, has officially decided who he would like to work with for the next couple years. Last week, Casey endorsed former Pa. environmental secretary Katie McGinty. 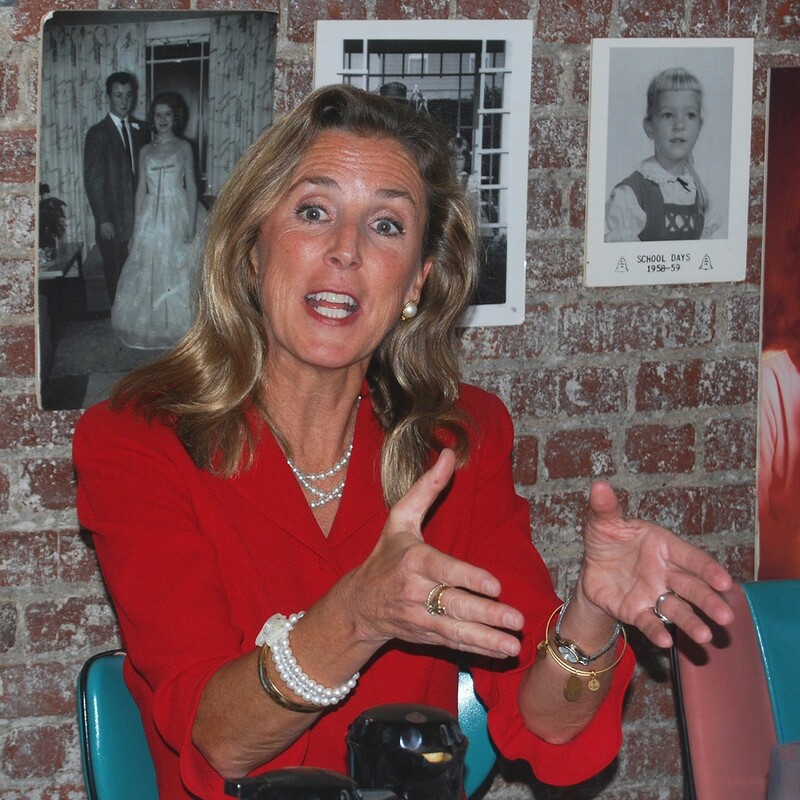 McGinty has been the choice of Democratic party leadership for the U.S. Senate seat since she entered the race. 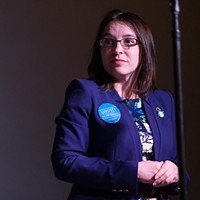 Before Casey’s endorsement, she was endorsed by Gov. Tom Wolf, U.S. Rep. Mike Doyle of Allegheny County, U.S. Rep. Bob Brady of Philadelphia and Pittsburgh Mayor Bill Peduto. And while the support of the person who will become your immediate colleague is a big boost for the McGinty campaign, competitor and former U.S. Rep. Joe Sestak downplayed the endorsement in a recent press release. Sestak writes that he is unsure why most Democratic party officials have rejected endorsing him, given his support of big Democratic policies, like the Affordable Care Actand the Economic Stimulus bill, while serving in the congress. He speculates that his time in the military (Sestak is a former Navy Admiral) and shorter time in politics may have led to the rejections. According to PBS, the U.S. House and Senate contain around 20 percent members who are veterans. This is down from about 75 percent in 1970 (however, veterans also now make up half of the percentage of total U.S. population as they did in 1970). And Braddock Mayor John Fetterman, the other main Democratic U.S. Senate candidate who is also looking to break the system (Fetterman has endorsed U.S. Presidential candidate Bernie Sanders), also downplayed the endorsement. His campaign spokesperson Leslie Wertheimer sent this response to CP: "The last seven months of [McGinty's] campaign have shown establishment endorsements don't equate to campaign momentum or support from actual voters."